In the evening of the 27th July 1689, Donald McBane, a Scottish government soldier fleeing the Battle of Killiecrankie, is said to have jumped 18 feet across the River Garry, to escape pursuing Jacobite Highlanders. On McBane’s claim, Historic Environment Scotland in their summary on the battle mentions it as “an improbable jump of around 5 m across the rapids of the River Garry”. 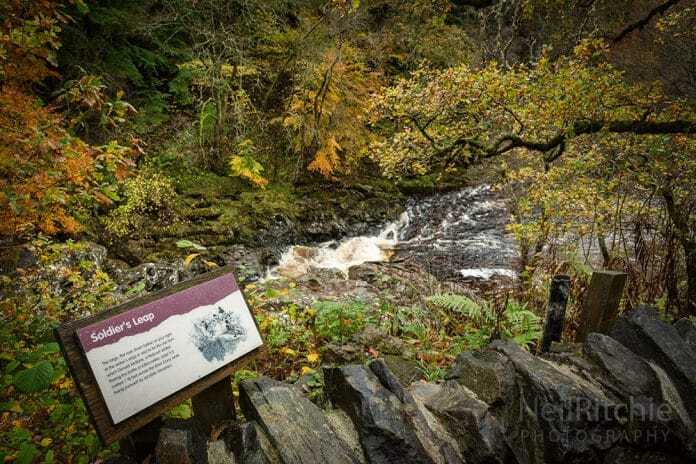 There are a number of other points closer to the battlefield where McBane could have jumped across, with two locations at Killiecrankie village as strong possibilities.